Impress your guests with a glass that is anything but what they would expect. It is amazing how a beautiful glass make any drink much fancier. 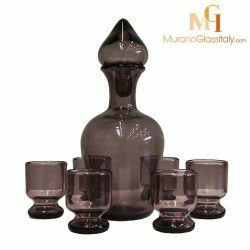 Discover a fine selection of hand blown Murano glassware. 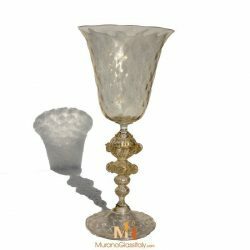 All drinking glasses and pitchers are authentic hand blown Murano glass made in the island of Murano, Italy. 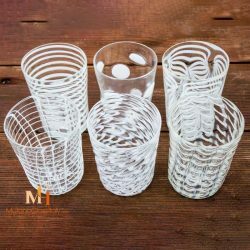 The unique Picasso style glassware is inspired by the great artist, Pablo Picasso. 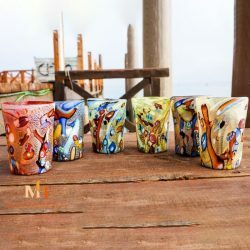 The vivid colors and shapes make these drinking glasses truly exquisite. 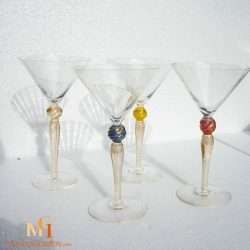 The colorful murrine drinking glasses are effortlessly beautiful creations. Anything you pour in them will look stunning. 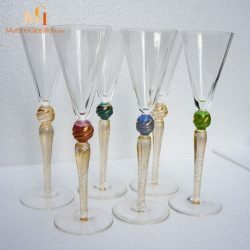 Not to mention, that the handcrafted red and white wine drinking glasses look like they have come right out of a fancy palace and bring a luxurious lift to any occasion. The displayed drinking glasses and pitchers are unique artworks signed by the artist, labelled by the atelier and certificate of origin is provided.